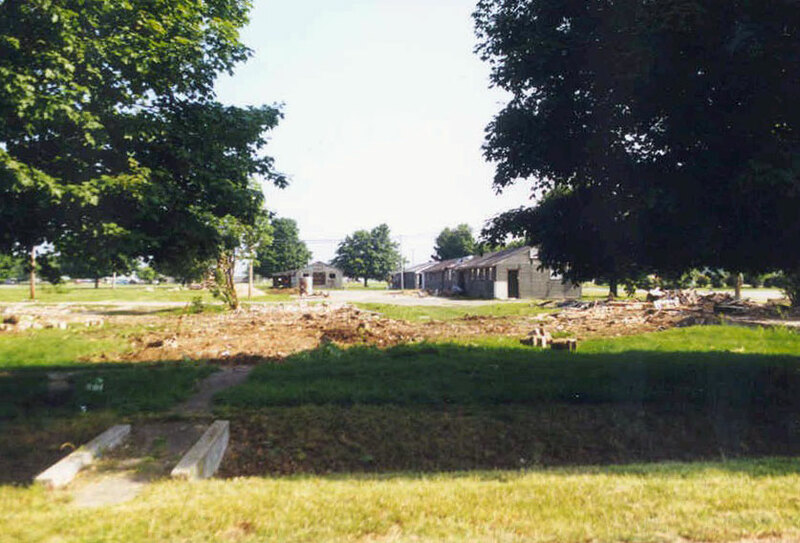 The old WWII style air base buildings have been torn down a little at a time. 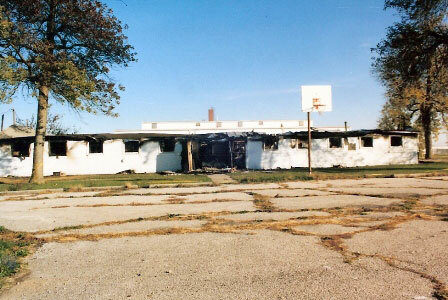 This is building 109, destroyed by fire October 1990. 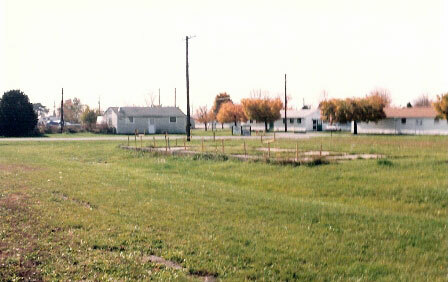 The foundation of the base gym in a 1986 photo. 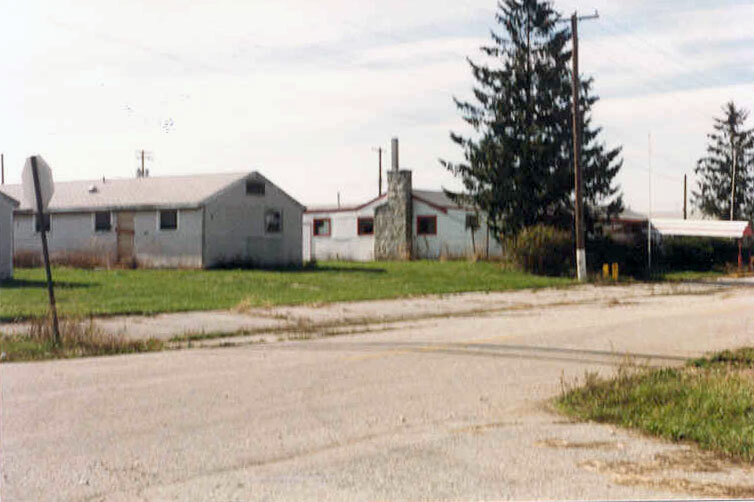 The old base service station site south of Arnold Street between Andrews Street and Middle Road. The base theater from the corner of Arnold Street and Middle Road. 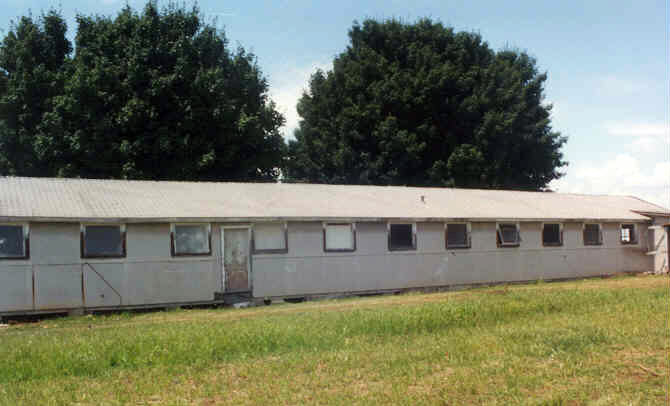 End of the line for these former Air Force base buildings in the late 1990's. 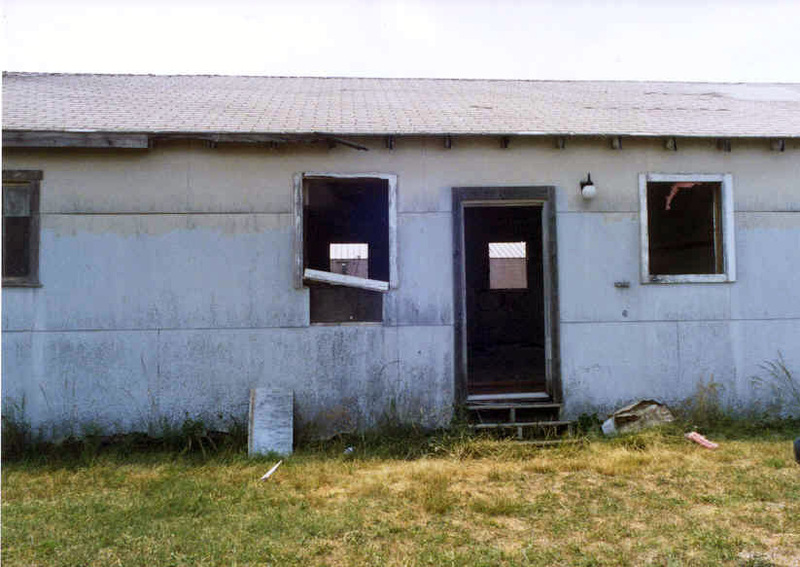 Ground hogs, and birds made these old building their home before demolition. 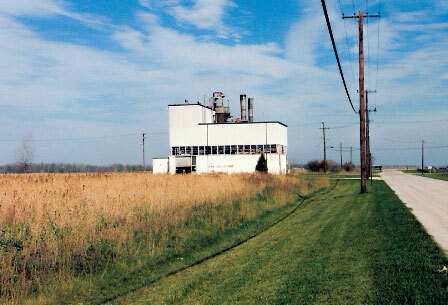 The first building is T-150, which at one time was Warehouse, Bulk Supply. 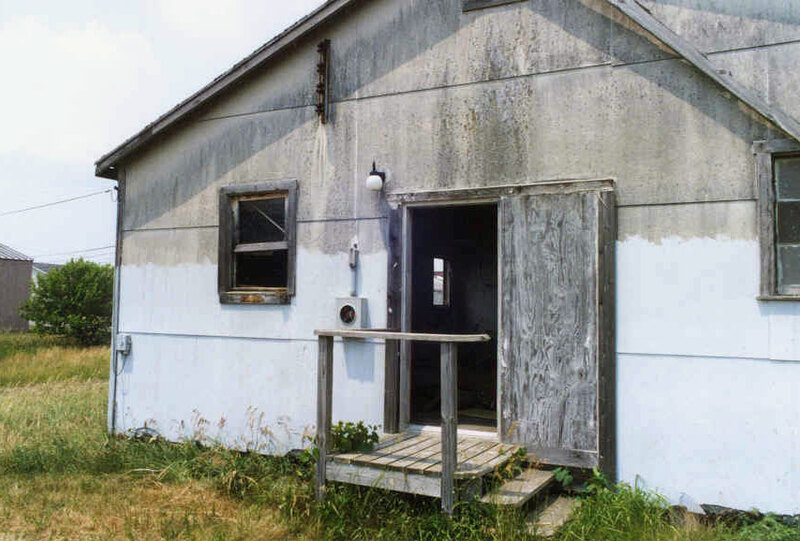 Building T-149 was the Radio/Radar Shop. 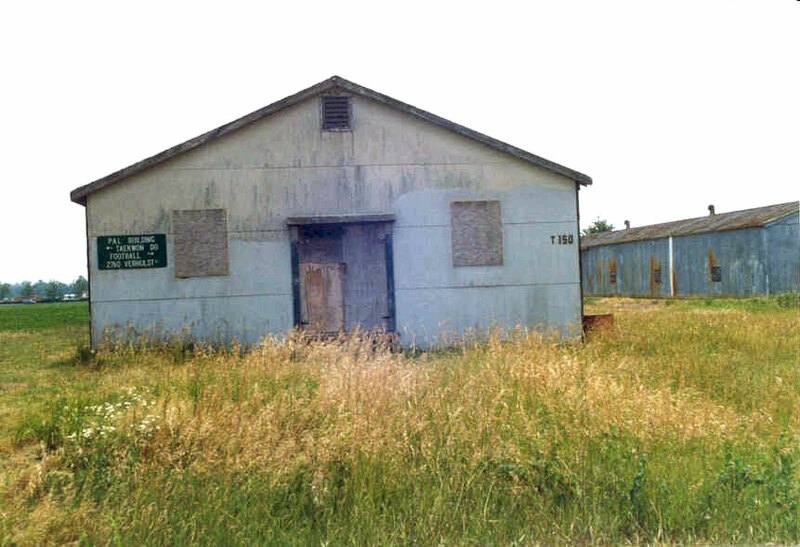 Stripped out and boarded up, think of the thousands of airmen who passed through these once well cared for Air Force buildings. Were you one of those airmen? 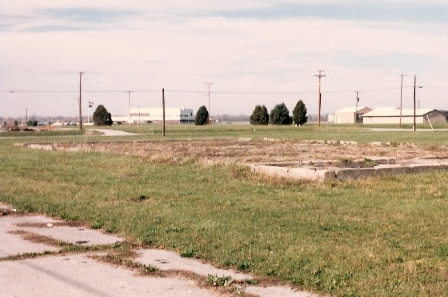 Rubble of a demolished air base building in the last of the remaining blocks of original Air Force Base buildings. 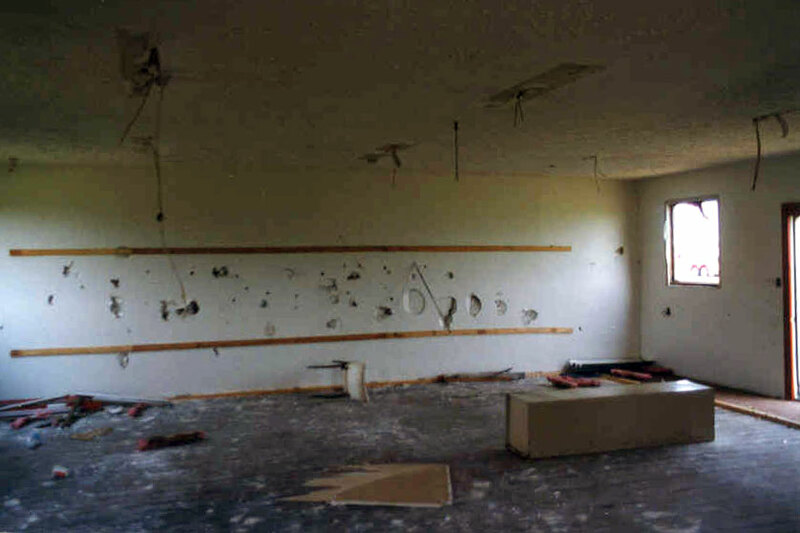 Stripped out interior of one of these buildings photo taken in June of 1999. 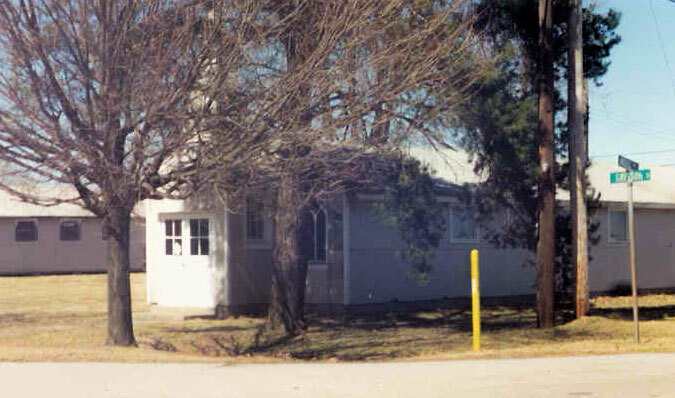 The only remaining original building in this area is the Jeanne Lewellen Norbeck Memorial Chapel on the corner of Middle Road and Grissom Street. 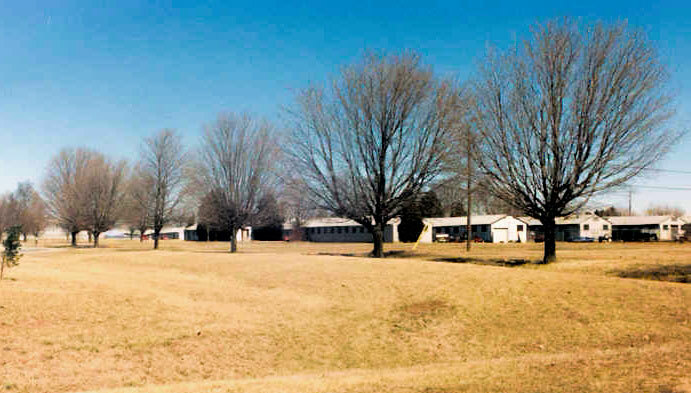 The block of buildings with the old Officers Club on the southwest corner of Kelly and Grissom Streets prior to demolition. One of the old buildings just demolished and being trucked off to the dump. 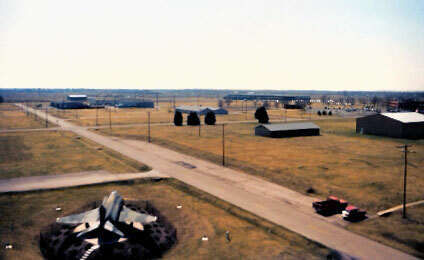 Taken in 1993, a view from the control tower showing the last block of old base buildings remaining. 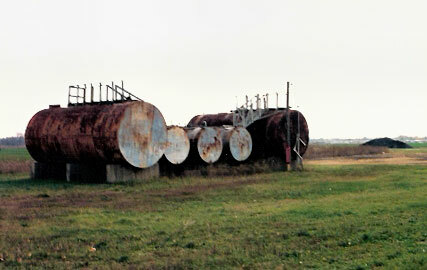 Part of the base tank farm, which was cut up for scrap. 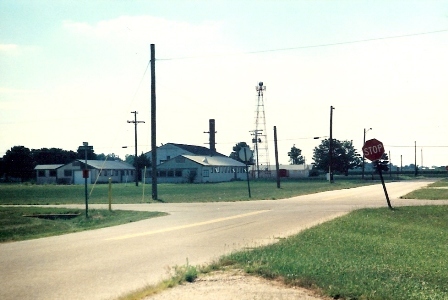 Base power house on the west side of the airfield. 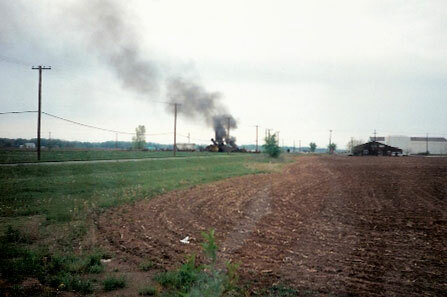 Demolished base power house with small fire in the debris. 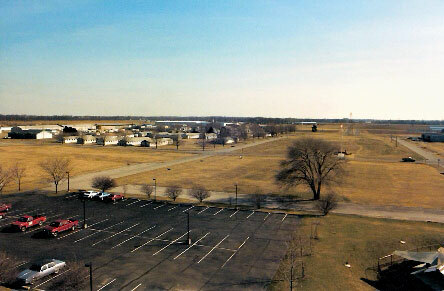 A 1991 photo of the F-4 aircraft with the future location of the air museum across the street to the right. 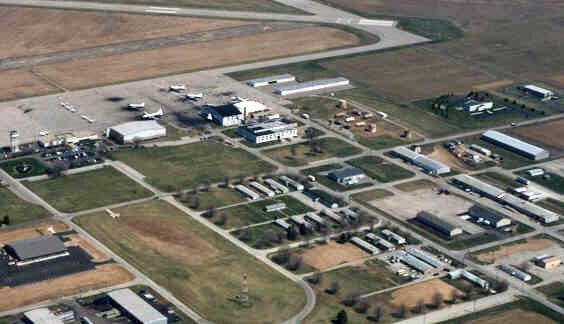 Latrine building T-40 in the old base tent city location is in the center-right of the photo. 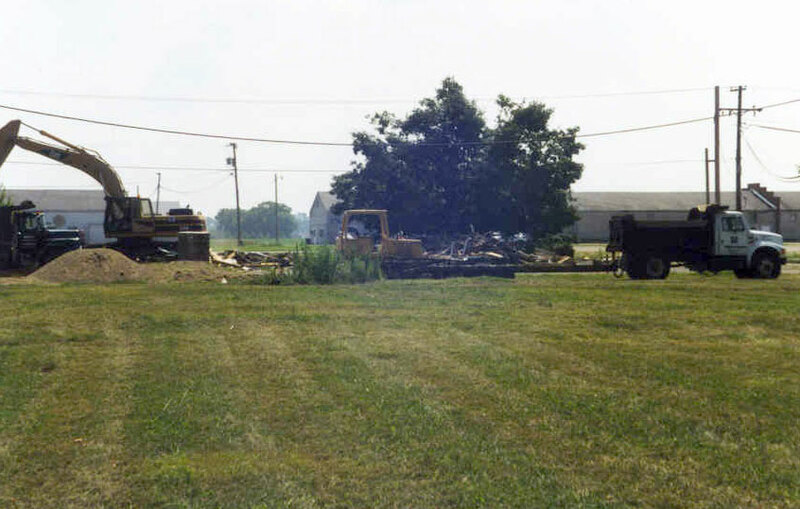 T-40 was torn down in March 2007 to make room for the new base/airport fire station. 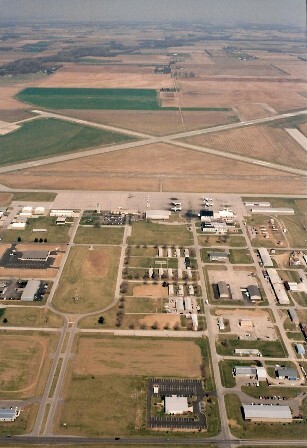 The first photograph from the air shows the last remaining blocks of old Air Force buildings in about a six block area before demolition. 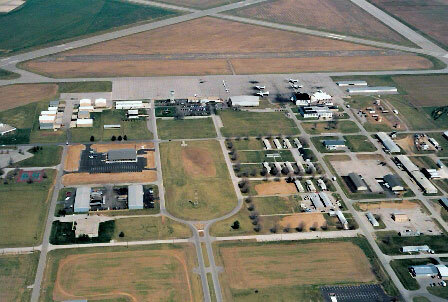 The L shaped building in the bottom right corner of this photo is the only remaining original Air Base building in this area, the Jeanne Lewellen Norbeck Memorial Chapel, building T-48. 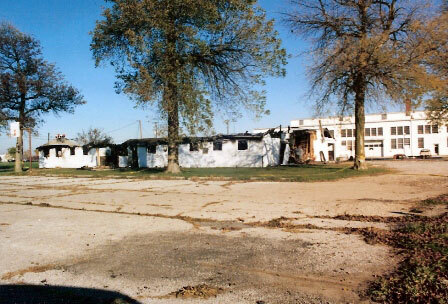 looking north, showing the last block of base building prior to demolition. 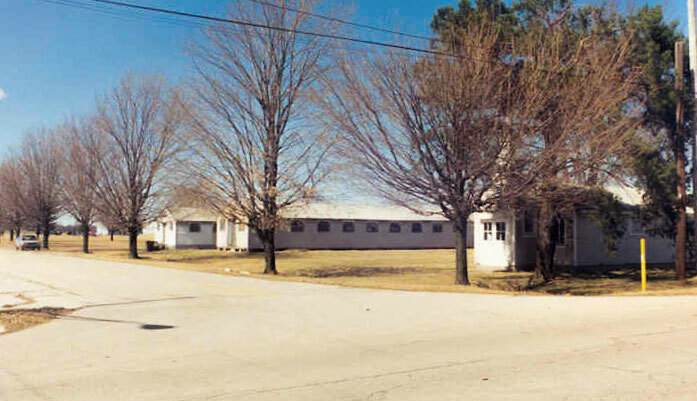 These photos are of the Chapel block before all the remaining former air base buildings were demolished on the block, leaving only the Base Chapel Building T-48 to survive the wrecking crew. This is a copy from the original Schedule of Existing Facilities Department of the Air Force Master Plan Building Schedule Bakalar Air Force Base, Columbus, Indiana, dated 1955.